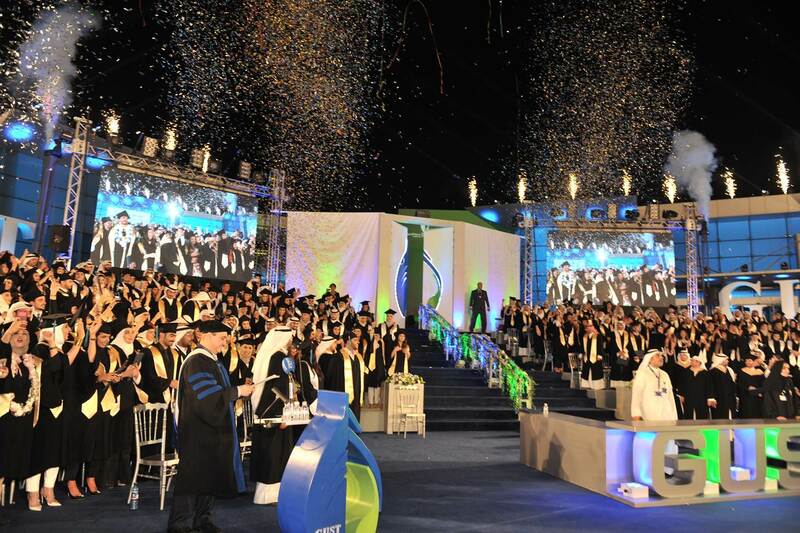 Graduation is an important occasion - the culmination of all your hard work during your time at GUST. It marks the point at which you leave us to make your way in the world. Graduation is a proud day for you, your family, your friends, and even your professors. It's a chance to celebrate all that you have achieved throughout your university career and to look back at the years you have spent with us. We're keen to make the day a special one. These pages will detail how the day works, and what you need to do to ensure that your graduation day is a happy memory for years to come. The 2017/2018 Graduation Ceremony is scheduled to take place October 16, 2018, at the GUST Amphitheater. Invitations will be sent starting end of September 2018. The 1st rehearsal will be held on Tuesday October 9, 2018 at 6:00pm, and the 2nd rehearsal will be held on Monday October 15, 2018 at 6:00pm. Both rehearsals are mandatory and will be held at the amphitheater.